Celebrate International Women's Day a few days early! Democrats Abroad and the Beijing Women's Network are pleased to sponsor a screening of the documentary film, The Hunting Ground. 5:30 PM - Happy Hour and Voter Support. There will be volunteers to help U.S. voters register to vote and request their 2018 absentee ballots. 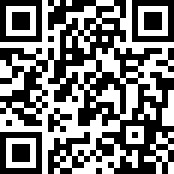 We also want to meet Americans interested in helping us form a Women's Caucus for Democrats Abroad China. For this special day, our friends at the Bookworm have prepared a special set menu consisting of Chicken Cacciatore, Caprese, Okra Gumbo, and Rice. 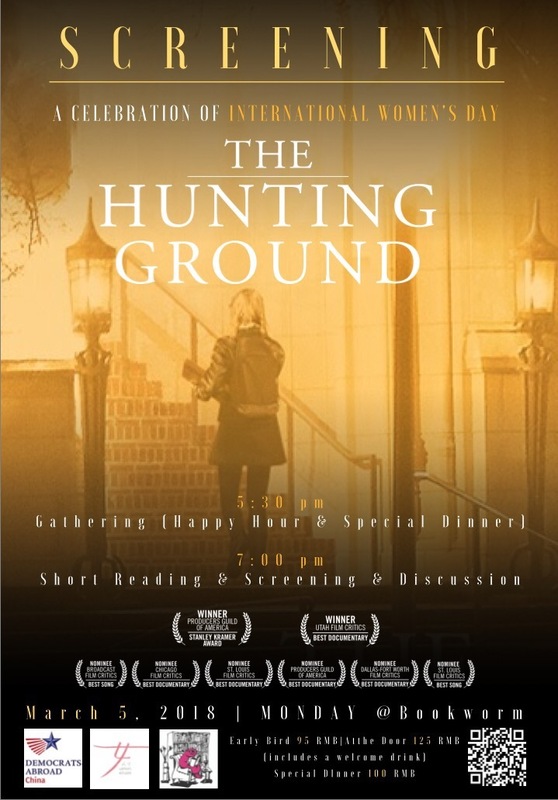 7:00 PM - Begin with short readings by Kassy Lee and Jumi Bello, followed by a screening of The Hunting Ground, and guided discussion following the film. THE HUNTING GROUND - This 2015 film is a startling exposé of sexual assault on U.S. campuses, institutional cover-ups and the brutal social toll on victims and their families. Weaving together verite footage and first—person testimonials, the film follows survivors as they pursue their education and legal justice, despite harsh retaliation, harassment, and pushback.